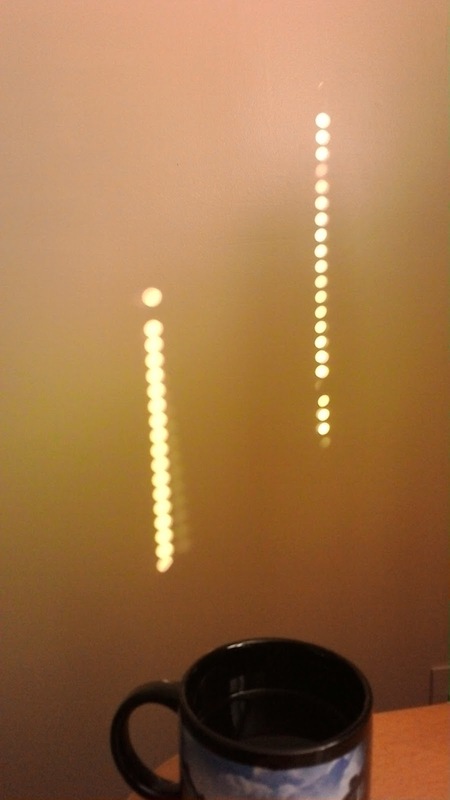 Lots of suns on the wall! Ha ha! 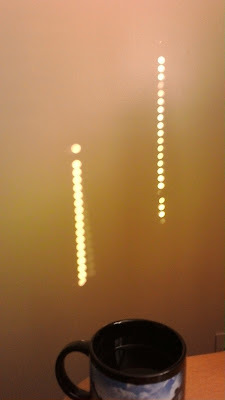 The tiny holes in the Venetian blinds made a super-duper pinhole camera.